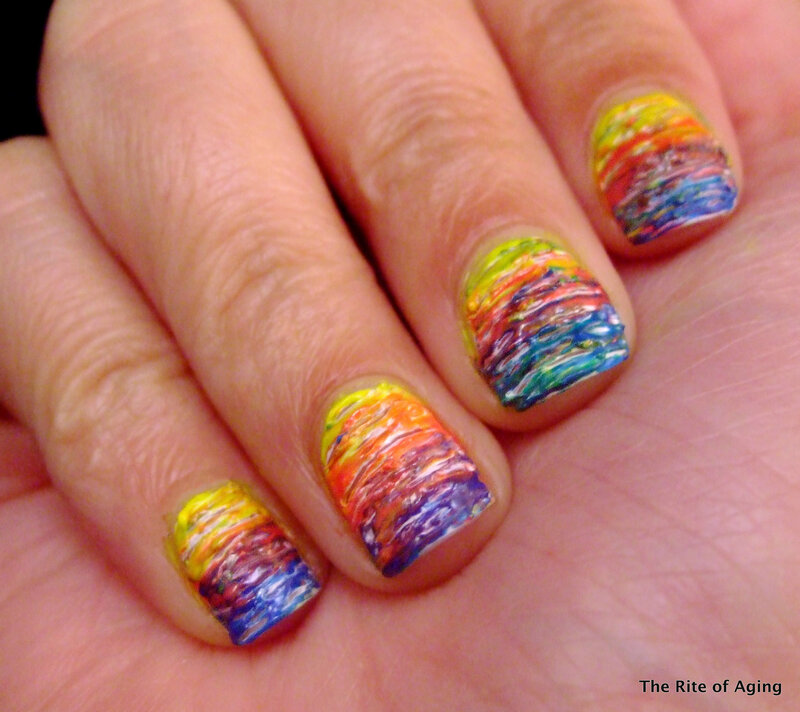 I love taking part in the Challenge Your Nail Art series (hosted by the lovely Jessica). The prompts are fun and it’s like a rigorous little burst of back-to-back manicures. Today’s prompt is right up my alley. COLORS! I hope you like my picasso swirl! I used 1 coat of Julie G White Orchid as my base. I picasso-swirled with a toothpick with (from cuticle to tip) American Apparel Neon Yellow, Neon Red and Pop Beauty Pacific Hoot. Thank you! I had a lot of fun with this because it is so abstract and each nail does not have to look the same! Very bright anf colorful! Love it! Thanks! Any time I see bright colors, I think neons! Hehe..